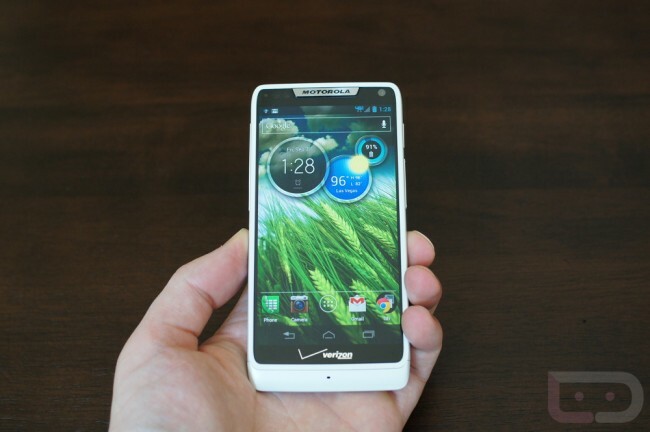 Motorola Already Prepping a DROID RAZR M HD? Is Motorola already preparing to push out an updated RAZR M with a 4.5″ HD display? According to a rumor out of PhoneArena, though they aren’t even willing to back the info all that much, that is indeed the case. As expected with an updated device, the specs have been bumped slightly, introducing a dual-core Snapdragon 4 Plus processor, 16GB onboard storage, and a massive 3300mAh battery, all while maintaing a small candy bar edge-to-edge design. Is it real? While that’s anyone’s guess, it certainly makes sense for Motorola to continue the edge-to-edge styling of the RAZR M, but with upgraded specs. I loved the RAZR M (our review), other than its poor display. If this phone had an HD display slipped into that body and a bit more RAM, it might have come close to earning a spot as one of our top 5 phones of the year. As a side note, I have seen Motorola data sheet lists that do look similar to what has been posted above. When Motorola lays out potential devices on paper, they normally take this shape. Still, tough to tell if it’s real or not. In fact, if you want to read about a bunch of other rumored devices that were pulled from a data sheet like this, hit up this forum thread. Either way, a RAZR M HD makes sense, so are you interested?